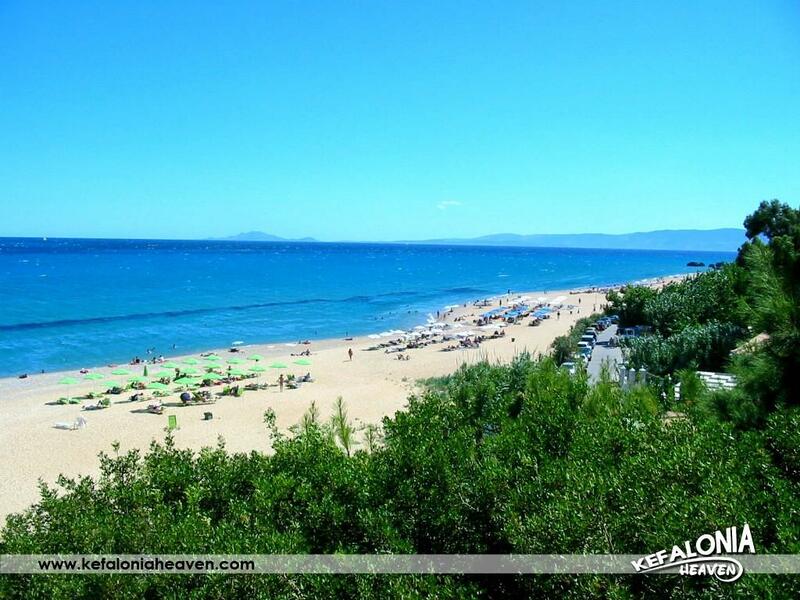 In one of the most popular tourist areas in all of Kefalonia, in the area of Skala, is the area’s namesake beach. Over the past few years, the area was developed as a purely tourist zone that annually attracts a large number of tourists, mainly British. 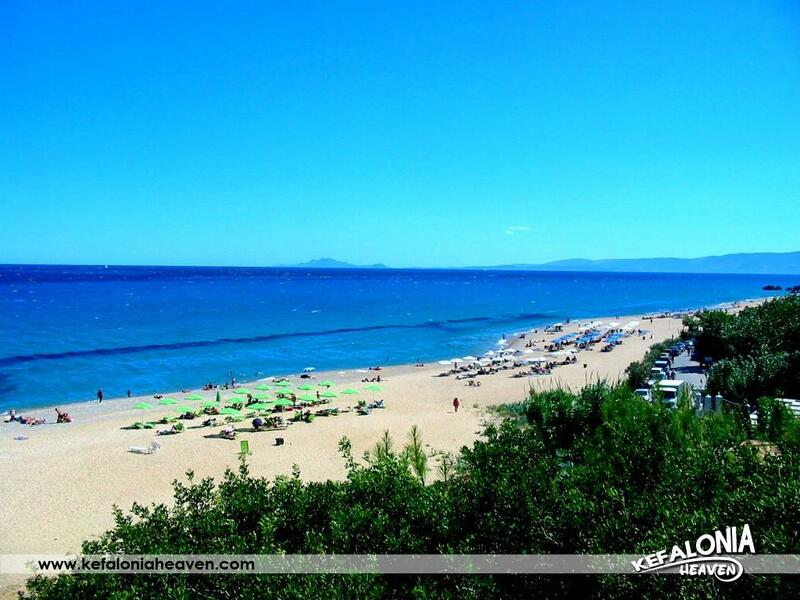 Skala’s vast beach is one of the area’s greatest attractions, which stretches at least one kilometer before the village centre and up to 2 kilometers beyond that. It’s a beautiful sandy beach which combines fine and coarse sand, easily accessible to visitors, who, besides the calm, deep blue waters, can also enjoy various water sports. The entire area has developed based on this beach and it’s one of the most properly organized tourist resorts on the island, since along the beach are cafés, high class hotels and beautiful houses belonging to well-off holidaymakers.